Shares of Europes biggest insurer lost as much as 4.3 percent, the biggest decline since July 3. (Bloomberg) — Allianz SE, Europe’s biggest insurer, posted fourth-quarter earnings that missed analysts’ estimates and said operating profit may decline this year. 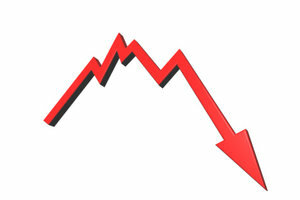 The shares fell the most in seven months. Net income grew to 1.26 billion euros ($1.72 billion) in the quarter from 1.24 billion euros in the year-earlier period, the Munich-based company said in a statement today. That compared with the 1.31 billion-euro average estimate of 13 analysts surveyed by Bloomberg. Insurers and reinsurers are focused on bolstering earnings from underwriting as low interest rates weigh on investment returns. Allianz, led by Chief Executive Officer Michael Diekmann, 59, is targeting operating profit of 9.5 billion euros to 10.5 billion euros this year compared with 10.1 billion euros in 2013, the company said. “We continue to see more downside risk than upside risk at Allianz,” Thomas Seidl, an analyst at Sanford Bernstein in London, said in an e-mailed report to clients. Property and casualty insurance “is the only segment improving,” he said. Allianz shares lost as much as 4.3 percent, the biggest decline since July 3, and fell 3 percent to 127.1 euros at 1:38 p.m. in Frankfurt, valuing the company at 58 billion euros. Losses this year were 2.5 percent compared with a gain of 1.2 percent for the Bloomberg Europe 500 Insurance Index. The company said it will raise its dividend payout for 2013 to 5.30 euros per share from 4.50 euros. That matched a Bloomberg forecast. At Allianz’s asset-management unit, which includes Newport Beach, California-based Pacific Investment Management Co., or Pimco, operating profit fell 23 percent to 703 million euros in the fourth quarter. Assets under management declined 4.4 percent to 1.77 trillion euros at the end of December from a year earlier amid foreign currency exchange effects of a weak dollar, Allianz said. Following last month’s surprise resignation of Pimco Chief Executive Officer Mohamed El-Erian, the asset manager named six deputy chief investment officers to emphasize the depth and breadth of its investment talent. El-Erian had shared the role of co-chief investment officer with Bill Gross. El-Erian will continue to work for Allianz as chief economic adviser, Diekmann said at press conference in Munich today. Clients pulled a record $41 billion from the $237 billion Pimco Total Return fund last year as investors turned away from bonds. The fund had redemptions of $3.5 billion in January, the ninth straight month of withdrawals and the lowest since May, according to estimates from Morningstar Inc. this month. Diekmann said in an interview in October that a plan by Pimco to expand into equities is proving harder than expected. Diekmann, whose contract as CEO ends in 2014, may remain in the position for two more years, Manager Magazin reported on Feb. 19. The company’s supervisory board plans to decide on the topic in October, Diekmann said today. Allianz’s property and casualty insurance unit was the only division to make a profit in the fourth quarter. Operating earnings rose 26 percent to 1.53 billion euros. The unit’s spending on claims and other costs as a percentage of premiums, known as the combined ratio, fell to 92.2 percent from 95.3 percent a year earlier. A ratio below 100 percent means an insurer is making a profit from underwriting. Profit from life and health insurance dropped 14 percent to 416 million euros. The corporate and other segment, where Allianz combines its holding and treasury operations as well as banking and alternative investments, saw earnings slide 35 percent to 261 million euros.